When you are scheduled for an appointment, that time is reserved for especially for you. There is a 72-hour cancellation policy for initial consultation appointments with Dr. Wei, and 48-hour cancellation policy for established patients. New patient paperwork should be completed at least 72 hours before your scheduled appointment. If the paperwork is not received, your appointment may be rescheduled. You are encouraged to take a very active role in your care, and are welcome to bring a friend or relative to your appointment. All information discussed during your appointment is confidential. Exceptions to this include disclosure of intent to harm yourself or others. Your medical information and record will not be disclosed to others unless by your written request, or if the law authorizes or requires that we do so. After your initial and follow-up consultations, lab testing may be ordered. Testing recommendations and the cost of each test will be reviewed with you. 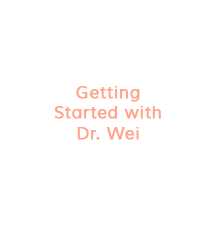 Dr. Wei will recommend that every patient have a panel of conventional lab testing that is generally covered by insurance unless you have a high-deductible health-care plan and have not yet met your deductible. Please read all instructions for lab testing carefully before collecting any samples at home. Our office staff will review the instructions with you after you purchase your lab kit. Videos for completing lab testing are available on the practive YouTube channel found in the upper left-hand corner of the home page. Finalized lab testing results can take 4-6 weeks to return. You will be asked to make a follow-up appointment 4/6 weeks after your initial visit. 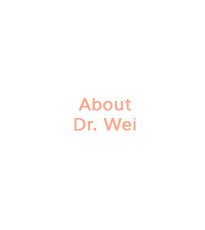 If Dr. Wei considers it necessary for you to come in sooner, our office will contact you to schedule an earlier appointment time. Payment for office visits, lab tests, and supplements is expected at the time service. We accept cash, checks, credit cards, FSA and HSA cards for payment. Women’s Holistic Health, LLC does not participate with any insurance carriers, and will not submit medical claims on your behalf. 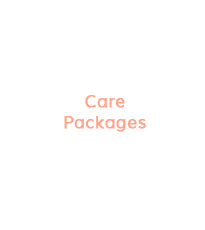 We will provide you with a detailed billing summary with the appropriate medical codes that you may submit to your insurance carrier for possible reimbursement. Women’s Holistic Health, LLC also does not participate with Medicare. If you are a Medicare Part B beneficiary and wish to become a patient, you will be asked to sign a Private Contract that provides that absolutely no Medicare payment will be made to you or to Women’s Holistic Health, LLC for services provided even if such services are covered by Medicare. 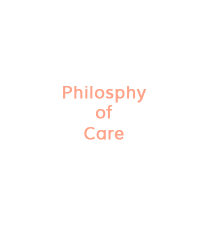 Under the Private Contract, you acknowledge that you accept full responsibility for the payment of charges for all services provided by Women’s Holistic Health, LLC. Refunds for unopened supplements will be made within 14 days of purchase. Probiotics and other heat-sensitive items are non-refundable.